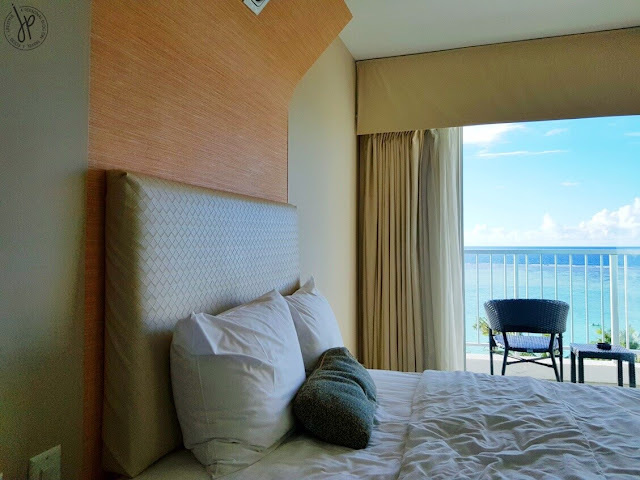 Aside from tax-free shopping, the best way to experience Guam is to stay at a beachfront hotel. 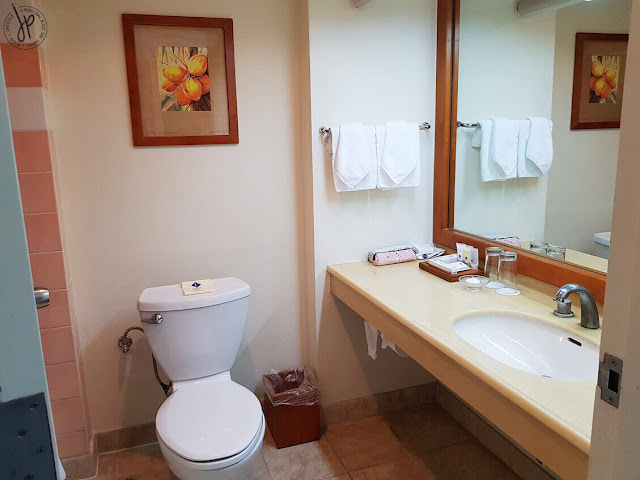 On my third trip, I was able to book two rooms at Fiesta Resort Guam along Pale San Vitores road. With only three days to spare, my main intention was to enjoy the beach at least two times before flying off again for work. 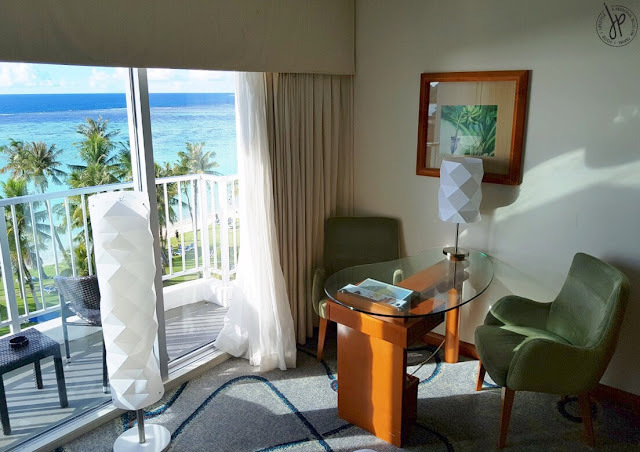 Choosing an accommodation in Guam must be planned carefully depending on your top activities. 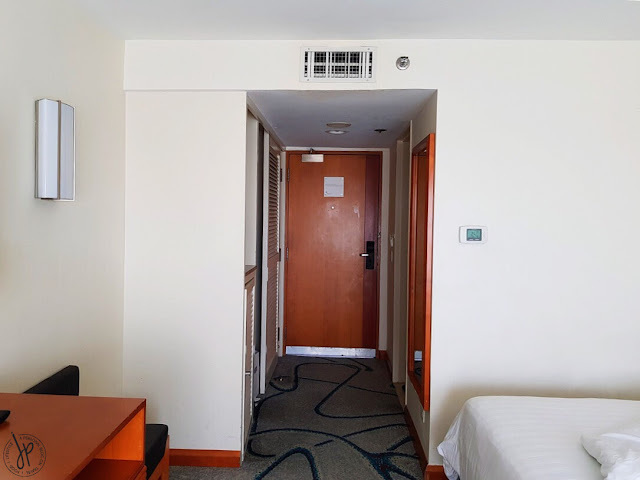 Because we are five people in the group who want to do different things, I picked Fiesta Resort for two main reasons: location and affordability. 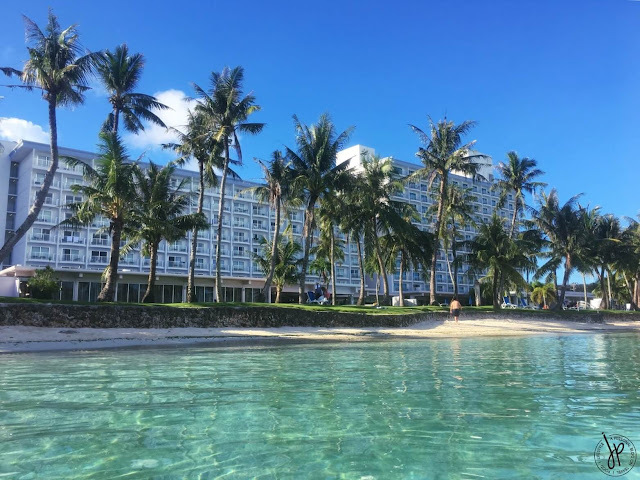 Of course, there are other factors you should consider when choosing a hotel in Guam, especially if it’s your first time. Let me tell you all the details during my stay at Fiesta and decide if you prefer to stay at this hotel as well. Pale San Vitores Road is a popular street in Guam because it showcases the top beachfront hotels and high-end shopping strip in State. This is where Fiesta Resort Guam is located. 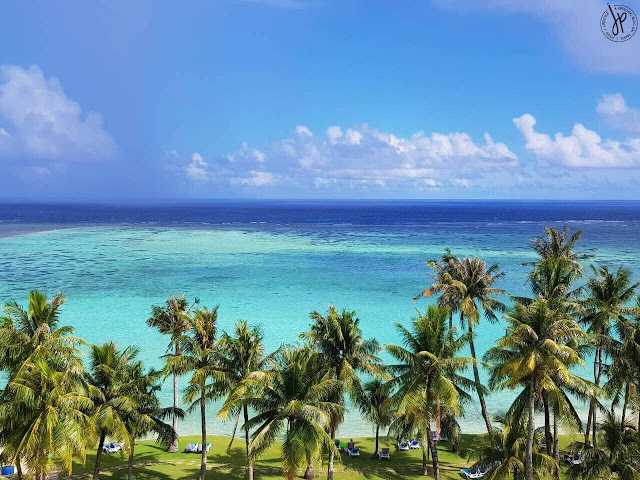 At the back of the hotel far from the street, the hotel faces the beautiful Tumon Bay where you can experience first-hand the beautiful hues of blue water. Within 10 to 15-minute walk from Fiesta Resort, you can easily reach the popular Jamaican Grill restaurant, the 24-hour store Kmart and Little Caesars Pizza, several car rentals, the first and second largest ABC Store, as well as luxury shopping malls like Tumon Sands Plaza, The Plaza, and T Galleria by DFS. 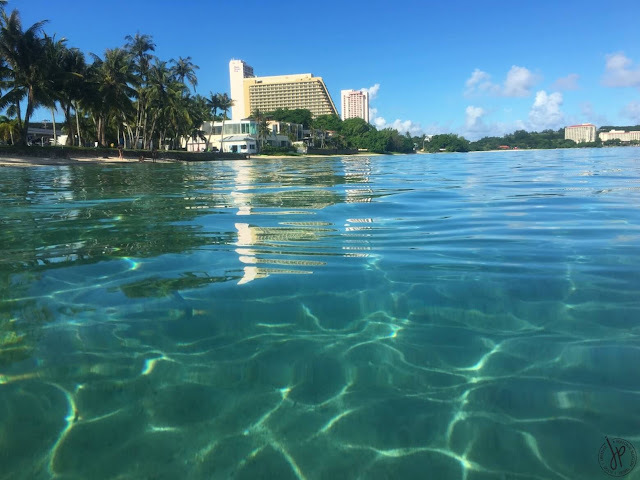 Beachfront hotels in Guam are expensive because of their prime location. 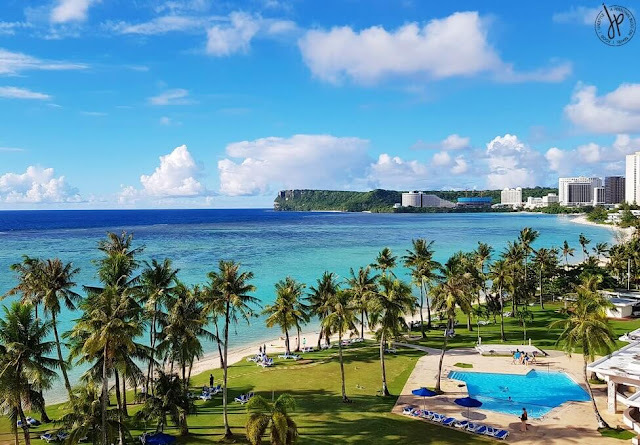 Guam hotels, in general, are not as modern or regularly upgraded as those in Seoul, Tokyo, or Macau, so you might have to tone your expectations down a bit. Considering the area and the higher room rates offered by other hotels, Fiesta Resort gets fully booked easily. I’m able to book an ocean view room for less than Php10,000 a night, 5 months before our intended stay. If you book beyond 6 months, you can get a room at Php7,000 or less. It may seem strange that the prices mentioned are “affordable” but it really is. Other hotels that have better facilities and closer to shopping areas have basic room rates that are worth Php13,000-17,000 a night. 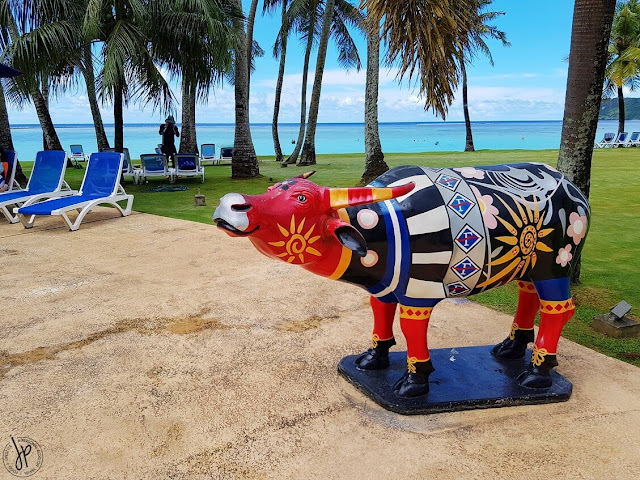 You can easily go around popular, must-visit places in Guam – on foot – coming from Fiesta Resort. For me, the best way to reach your destination is still by car. But if you missed renting out a car during your stay, there’s always a cab at your service. 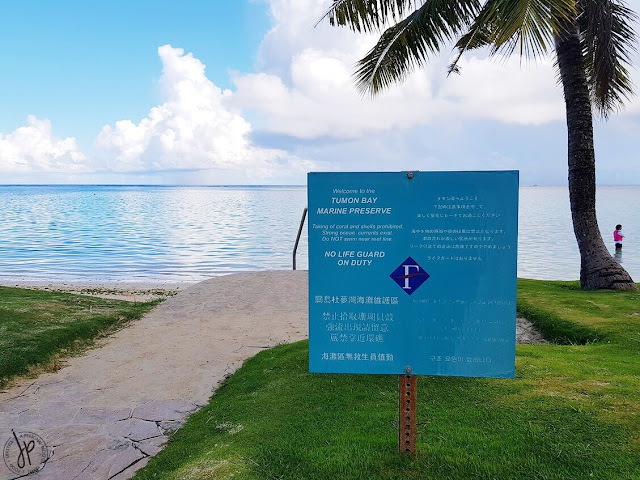 Otherwise, you can walk in 5-7 minutes going to the bus stop in front of Pacific Islands Club (PIC Hotel) and catch the free GPO/Tumon Sands shuttle to go to Guam Premier Outlets or Tumon Sands Plaza. Recently, we discovered a scheduled “shopping bus” that stops every 20 minutes at Fiesta Resort going to Micronesia Mall. We’ve seen the bus, but haven’t had the chance to get on it. Either we were on the car we rented, or we walked all the way from The Plaza and Outrigger to Fiesta by accessing the beach. 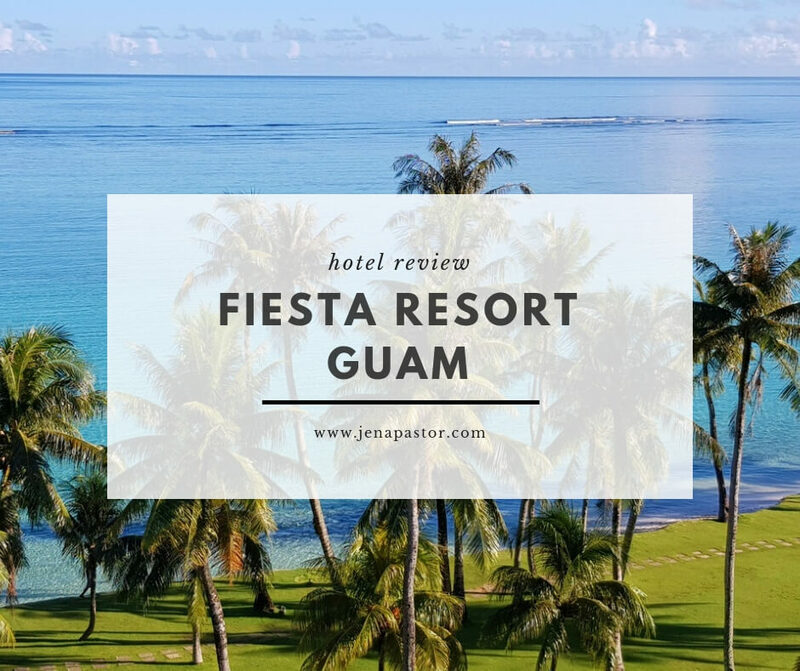 Fiesta Resort Guam has swimming pools, free beach towel rental for checked-in guests, cafe, gym, tour desk, convenience store, and Häagen-Dazs. There are also plenty of pool and beach chairs around the hotel vicinity, which you can use if you just want to lounge outdoors and watch the sunset. At the 7th floor where our rooms are located, there is a room with an ice machine where guests can get free ice for their drinks. This is technically not part of the hotel, but man, the beach is just what we came for! I like this part of Tumon Bay where you can actually swim and touch the sand without needing a pair of aqua shoes. 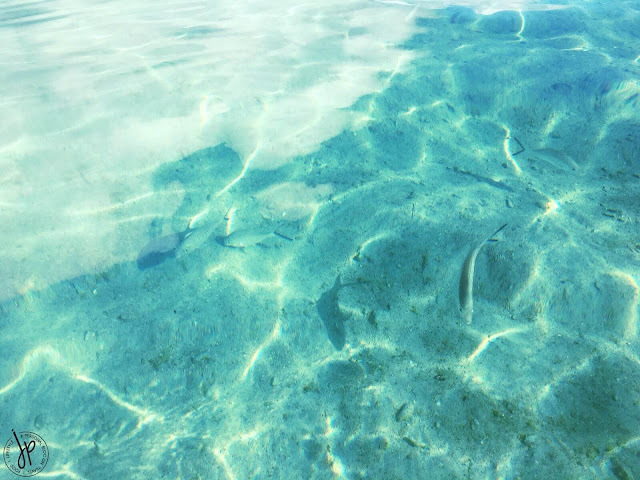 Furthermore, you don’t need to go far from the shoreline just to experience swimming with fishes. For a group of five, we are booked in an ocean view room that has a size of 31.5 sqm. The room fits two comfortable double beds and can fit another extra bed. 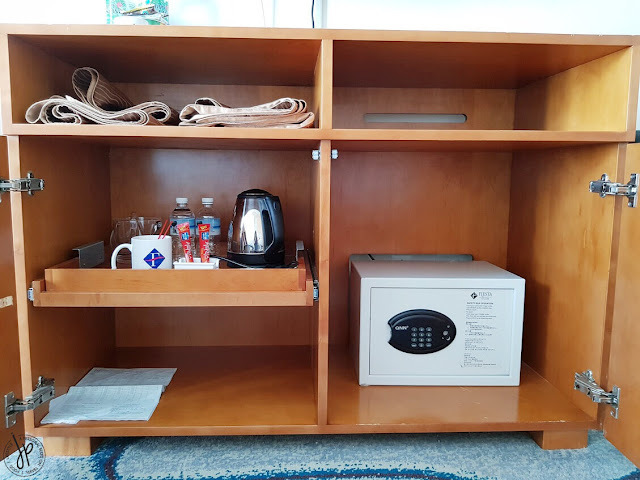 The room is carpeted and equipped with a closet with hangers, mini fridge, flat screen TV, telephone, safe deposit box, bottled water, electric kettle, lamp, mugs, glasses, complimentary tea and coffee, ice bucket and wireless internet. 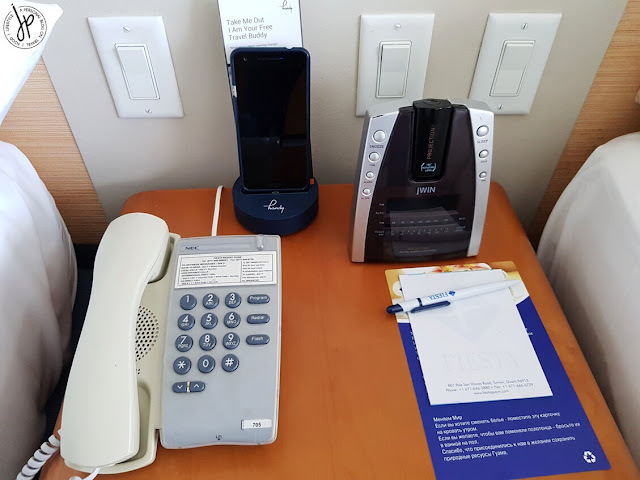 For me, the best amenity in our bedroom is the Handy Smartphone, which was also available in Holiday Inn Express in Singapore. The Handy allows you to enjoy free internet wherever you go. It can be used as a mobile hotspot. Plus, you can enjoy free unlimited local calls, speed dial to hotel services, and other promotions. 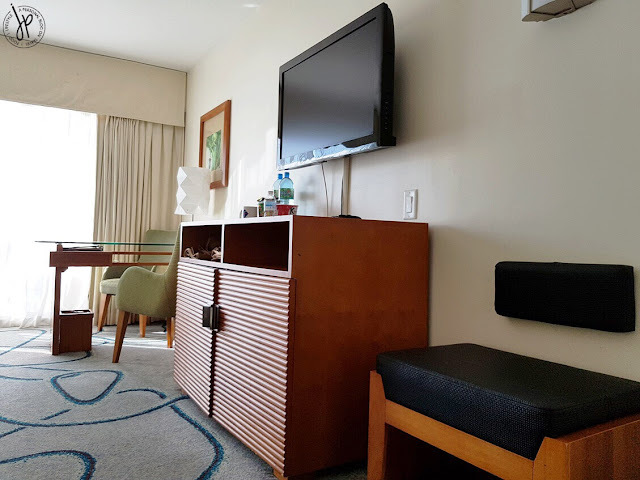 To be frank, wireless internet in Fiesta Resort isn’t the best and the Handy makes our Guam travel much easier and pleasant. You just have to reconnect the device to the internet every 30 minutes. And of course, my favorite part of the room is the balcony. Everyday, I was always mesmerized with this view! The bathroom isn’t entirely modern, but it’s not outdated. 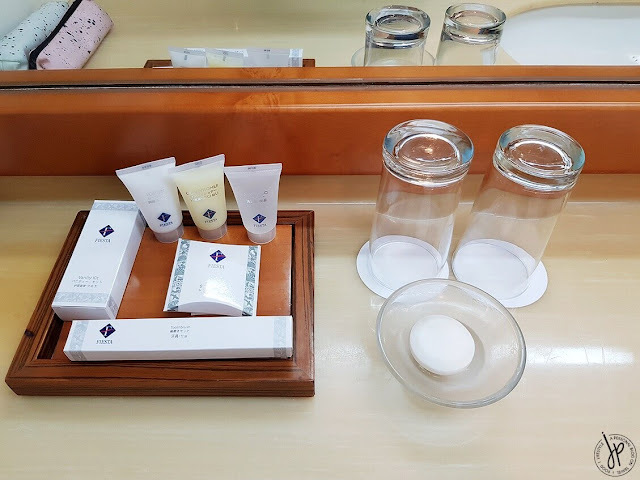 Despite the fact that it lacks a bidet, Fiesta Resort provides guests with the basic shampoo, conditioner, lotion, soap, toothbrush, and vanity kit. 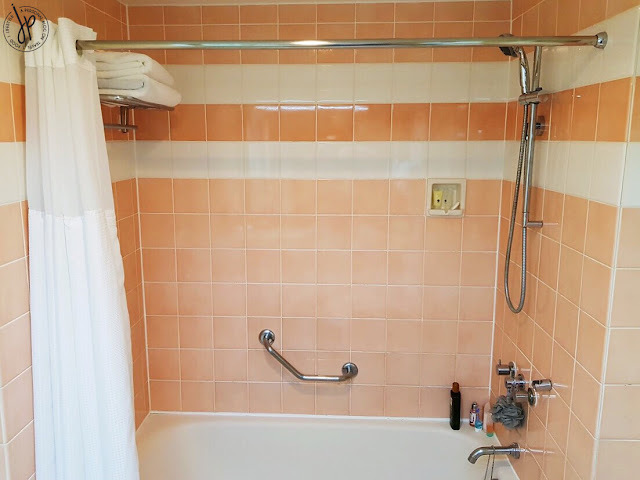 The combined bathtub and shower area was in pristine condition and the water heater works perfectly. Communicating with Fiesta Resort was quick and easy. The staff responded to me swiftly when I asked for an extra bed in one of the rooms. The payment option was also convenient, allowing us to pay directly to the hotel either during check-in or upon check-out. Now this is the part where I have to be really honest about. In some instances, Fiesta Resort Guam needs to improve their service. It’s quite understandable that guests might not be granted an early check-in, especially when the hotel is fully booked. However, I strongly believe that any hotel should stay true to their word when they say the check-in time is at 3:00 PM. In addition, in two out of the three days that we were there, two elevators were under repair. We had to take the stairs from the 7th floor to the ground floor, and that was on a weekend. Good thing we did not check-out on a Sunday. 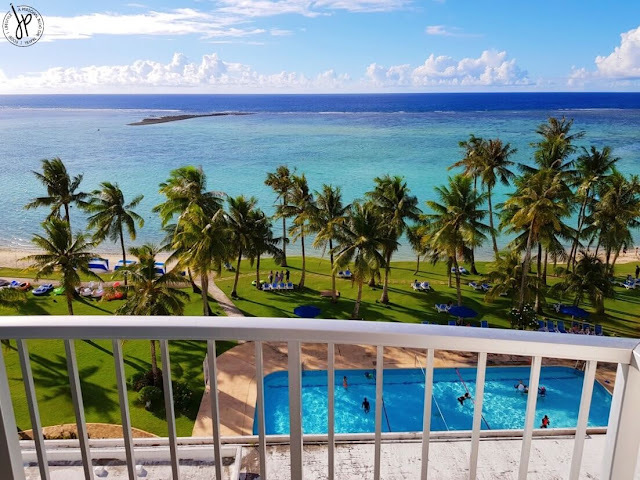 Beachfront hotels in Guam easily gets sold out and the case is the same with Fiesta Resort Hotel. 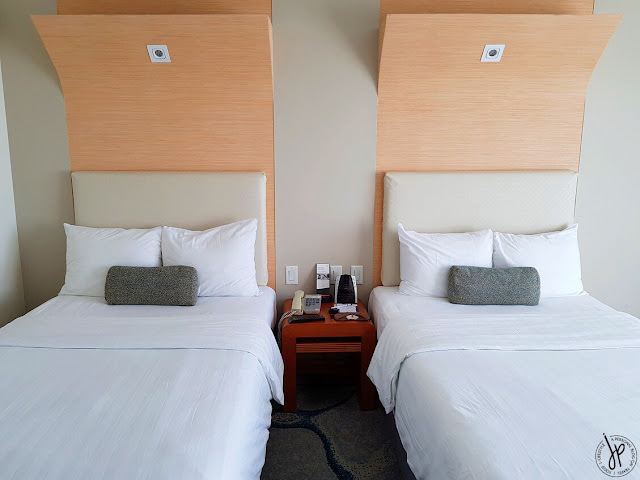 Despite its slight mishap with their check-in service and elevator facility during our stay, I believe it’s still worth staying there, particularly if you have a strict accommodation budget to follow. The hotel’s simplicity attracts guests who like to unwind and be in tune with the stillness of nature, all at the same time.